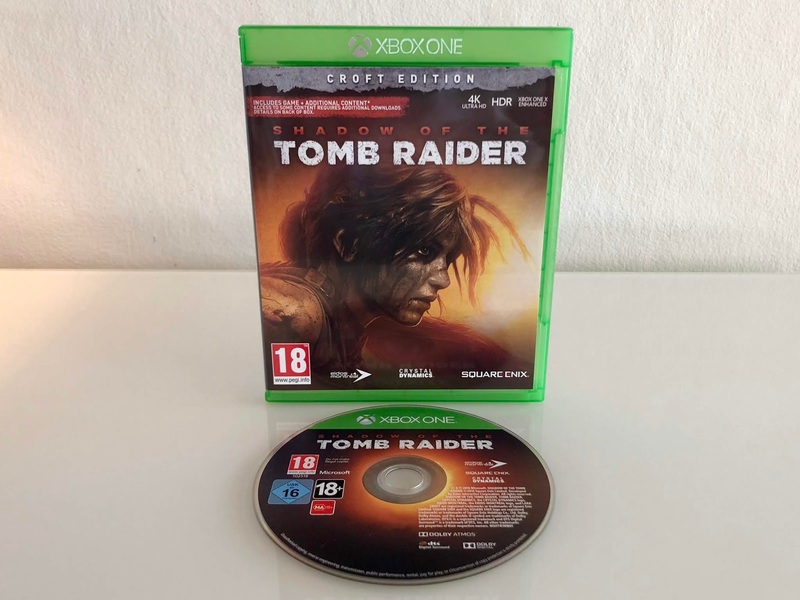 Review: The 2013 Tomb Raider reboot and Rise of the Tomb Raider; two heavy hitters and incredibly well made action adventures and some of my absolute favourite titles of newer times. Such a massive undertaking then, to follow up and make a third sequel. Development has shifted from Crystal Dynamics to Eidos Montreal, the guys behind Deus Ex: Mankind Divided, and the script writer of Rhianna Pratchett fame has been swapped out. Same amazing graphics engine, same layout and the familiar voice of Camilla Luddington. 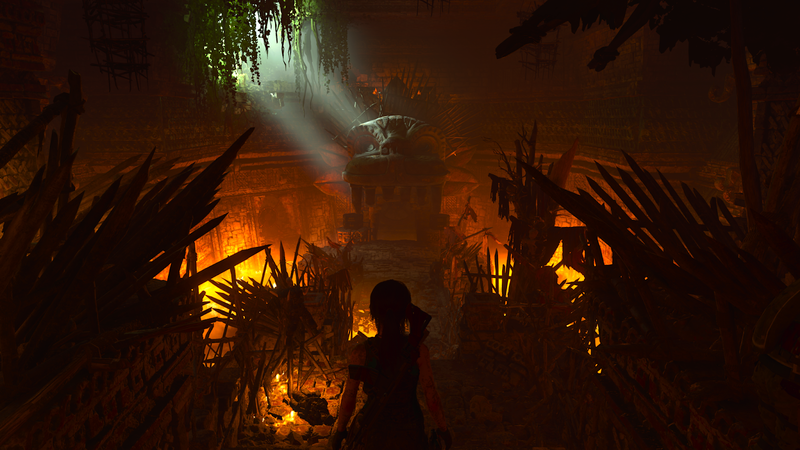 Does Lara's latest adventure build itself up to and deliver the heavy burden of hype from the fantastic previous titles? Let's get our climbing gear, pick axe and bow ready and dive in! Gameplay is familiar for this trilogy of Tomb Raiders; one continuous world with campfires that work as fast travel points along the way. Some areas are larger hub worlds with Metroidvania backtracking required with new equipment at a later point, opening up locked areas. A lot of the weaponry is familiar and easy to dive into if you've played the previous instalments, so is the skill and weapons upgrade charts. Tried and tested ideas for the series that work fine once again. This time around there's more focus on outfits giving you benefits of increased experience points for certain criteria, however strangely enough, a large portion of the game you are forced to wear certain outfits. This mandatory clothing is something I could have done without at times, mostly you'll be wearing traditional tribe outfits. The far larger focus on exploration is a very welcome one and perhaps SOTTRs strongest side, bringing back the fundamentals of the series beginning right back to 1996. Luckily they have abandoned the generic black uniformed, SWAT-like, mercenaries of ROTTR, which generically looked like any enemy in half of modern games around, and replaced it with more suiting enemies for it's Mexico setting. The gun fights are fewer in between and have far larger reward for stealth kills. 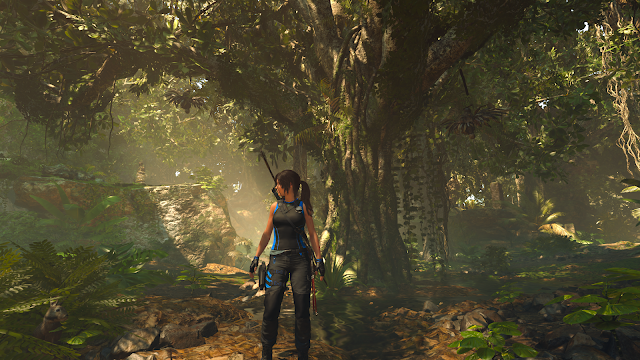 Even going as far as letting Lara cover herself in mud to sneak in bushes and on leafy walls like a predator; it's clever, if not a little simple done with predictable AI, but it works and the general focus on combat has been toned down for the better. The long periods of time simply traversing the dense jungles of Mexico and finding paths to underground tombs, catacombs and finding jaw dropping wall murals, statues and ancient buildings is a very welcome one though. It's about raiding tombs and this is even closer to the original series concept than ever before. Climbing is further improved with upside-down climbing mechanic and having to lower and raise yourself by rope to reach deeper caves. There's more verticality in general to every area and many underwater parts which are nervously claustrophobic and scary to traverse. Luckily the breath timer is overly generous and the typical annoyances for underwater sections is not present; these areas are actually tense and fun to play. Graphically the series has outdone itself once again; dense foliage with crisp 4K presentation and tons of detail. 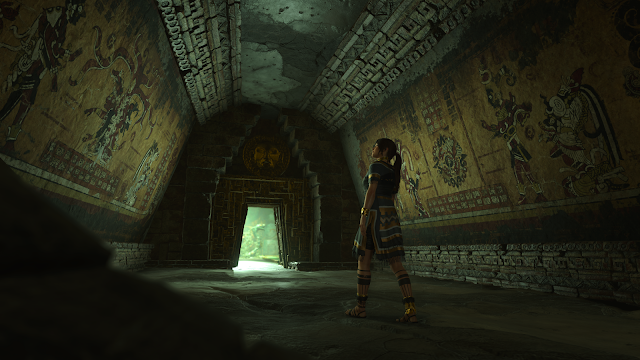 Rocks, trees, old paintings, ruins and tombs have incredible amounts of detail with a great focus on small things like particles in the air and light shining in through cracks and openings in roofs and caves. The lighting is just superb and perhaps the best use of HDR I have seen to date to date, with lava filled caves almost blinding you with their strength and sunsets looking so rich with this incredible lighting effects. Water sections are really well made too, with beautiful reflections and light beams going through the water. Mud is made like a liquid where Lara sinks into it and footsteps are filled with water behind you. 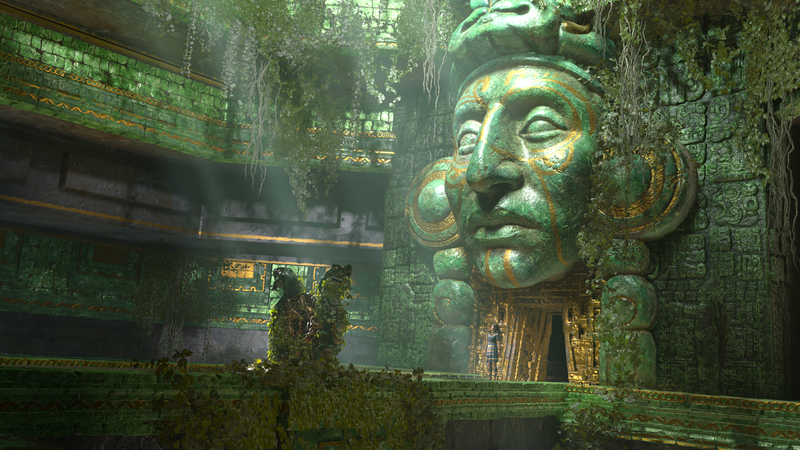 A truly beautiful game that depicts the jungles of Mexico magnificently, albeit less variety visually than the previous games, the setting in SOTTR stays with the jungle and Aztec style throughout. Perhaps this more one sided environmental setting has allowed the developers even more time to dig into small and rich detailing. Stunning visuals from start to end. SOTTR brings some negatives to the table though; my main gripe being the rather sluggish story. It moves along with little incentive of making you really dislike the bad guys or feel engaged to do something about what they are blandly threatening about. I get the feeling this time around that some of Lara's morale choices seem to backfire, making her look almost like the bad guy, and yes they are great moments, but the cause of why you are fighting seems stale. It tries to make you feel part of a hidden tribe in Mexico, and care for them, but in the end it fails to do so in successful manner. At the end of the day, the main storyline feels trivial and unmemorable. That said, Lara's voice actress Camilla Luddington, does her best performance yet in the series though, with fantastic acting performances put into touching and desperate scenes. 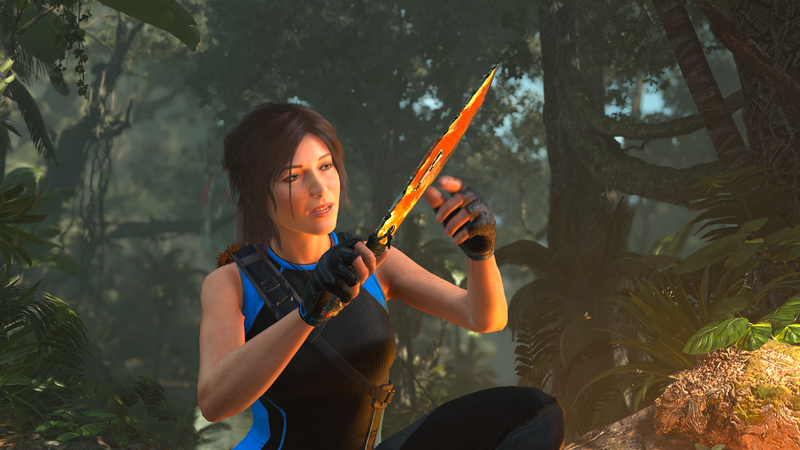 The storyline parts that focus on Lara herself are the best ones and perhaps a larger part of the story doing so would have made a more interesting angle? We are after all seeing the famous Tomb Raider being born in this trilogy, and her story is most intriguing one. 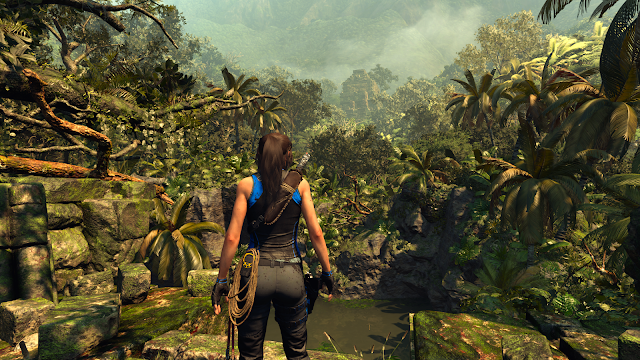 My other negative is the feeling that the game isn't really reinventing itself much, it feels a little too close to the previous formulas and takes a very safe route through the paces of things you've seen many times before in TR2013 and ROTTR. Gameplay doesn't introduce many new elements and the world you traverse could have had more freedom and less check box structure from the previous instalments. Places unreachable, that in classic Metroidvania become accessible after you obtain a weapon or gadget, end more often up to be small offbeat and insignificant areas. The rewards for backtracking don't seem much worth it and could have hidden far larger places to discover. On a positive note though, they have added a more significant number of sidemissions to flesh out the lifespan of each hub area. All things considered, I enjoyed my playthrough, but I was maybe hoping for something to truly stand out as more memorable. It seems ridiculous to complain about a game with kind of high quality, and it's complaints are in contrast to comparing it to top end games, so maybe they are somewhat unfair. I just wish there was more new ideas here for those who have played the last two games over and over. The bland storyline and repeated and quite limited structure fell short for me. I did, though, enjoy the larger exploration focus and wonderfully detailed rainforests. It's a game that's more aimed at older TR fans, yet never dares take new steps very far and into the more niche style the old TRs today are. A good game for a fantastic rebooted trilogy, it just doesn't reach the heights quite as much as the previous instalments did and feels somewhat like a game with a smaller budget at times. It's like they don't really know where to go with the series, and ended up not really going further at all and wrote a story that is forgettable at best.